Twitter's new transparency center will be a public database containing all the ads currently running on the social network. The database will also show users which specific ads are targeted at them and what personal data Twitter used to place the ad. From there, users can then report inappropriate ads as well as ads they don't like. Political ads within 30 days of a primary election or 60 days of a general election will be getting the biggest overhaul. 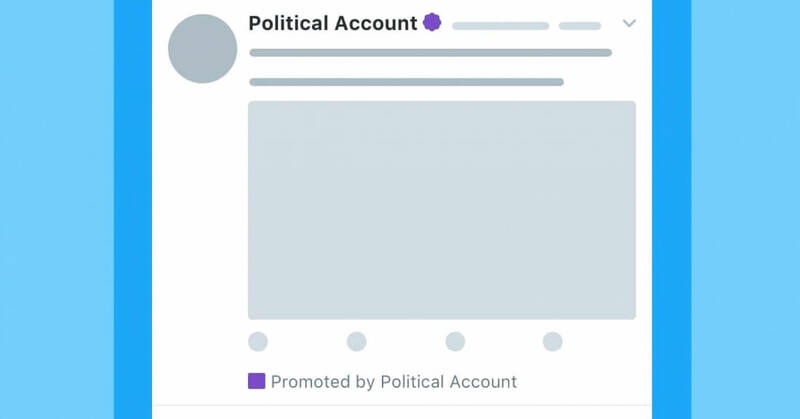 Twitter will clearly label electioneering ads, disclose how much money that campaign is spending on ads, and list the other ads purchased by the same campaign. The program will be tested first in the United States and then roll out around the globe shortly after. This new policy change comes just days before the much anticipated congressional testimony by Twitter executives surrounding Russian-purchased ads and their role in the 2016 presidential election. Lawmakers on both sides have also recently pushed for the Honest Ads Act to increase transparency in online advertising. This legislation would require all platforms with 50 million or more users to have a publicly available database for everyone who bought at least $500 worth of campaign ads in the past year.